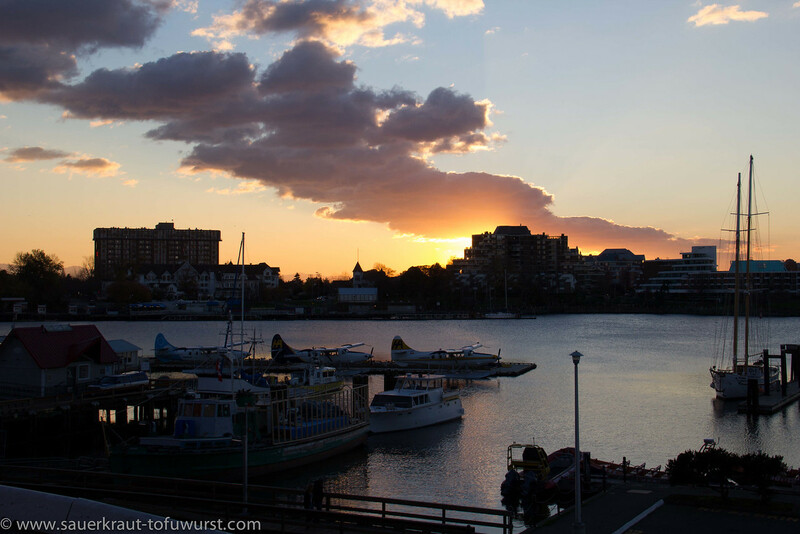 The days went by and we took it easy in Victoria. The grocery shop was in walking distance and had a good selection of organic produce as well as many vegan food options in the deli. 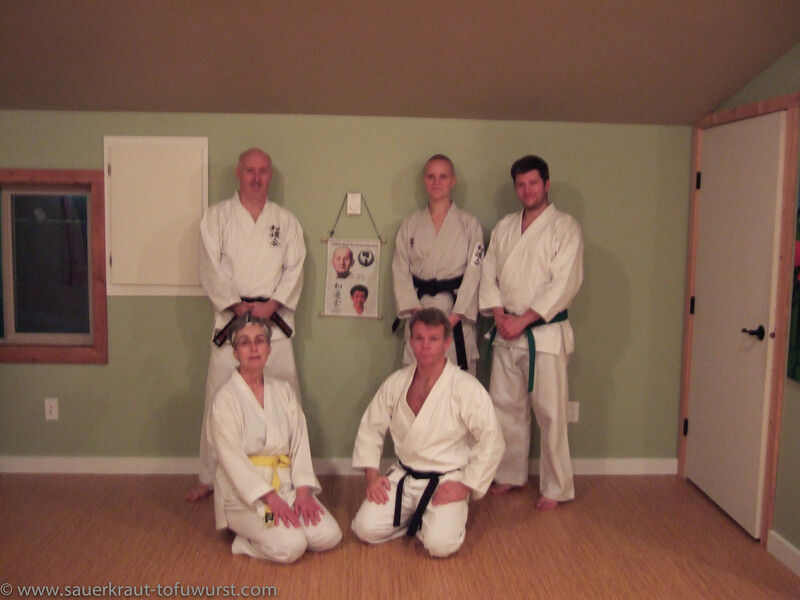 Skippy had some more Karate, girls enjoyed playing in the park and the restaurant and motel guests admired our trip and bikes. Our new mixer Magic Bullet was already broken after two weeks of daily usage. 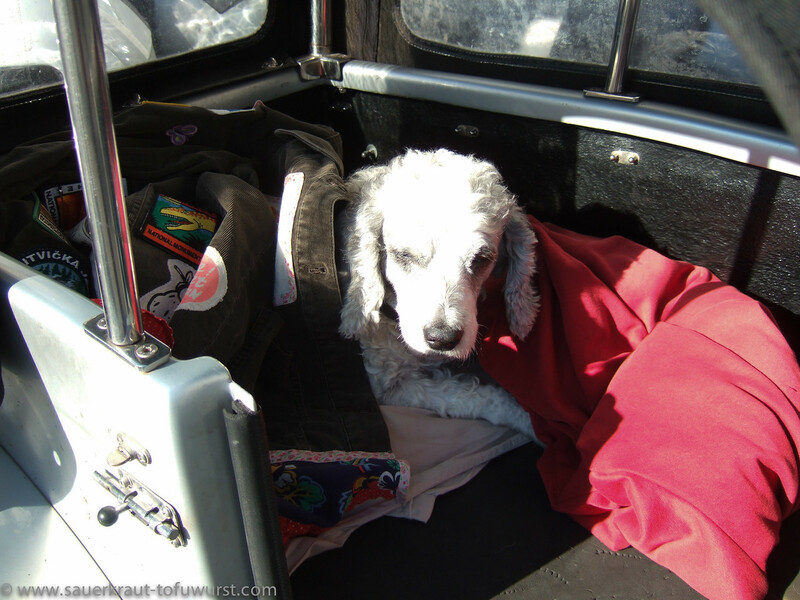 Lucky us we got our money back from Walmart (good policies!) and ordered from internet a Tribest mixer – the same we used before during Europe and West-Africa. My call for help to the local biker community was answered by a few (thanks folks!) and the most convenient was the one from Rod and Nora. Rod had a dry garage (very important at that time of the year) where I could do a big yet regular maintenance of my GS. The maintenance went well, and as I was screwing around a few deer came by to say hello. My improvised fix of the hole which covers the wheel to adjust the OT-point did simple fall off when I tried to tight the screw. My new improvised fix consisted of a piece of duck-tape. Beautiful sunshine brightened my day on the next morning and after a quick breakfast I hit the road. 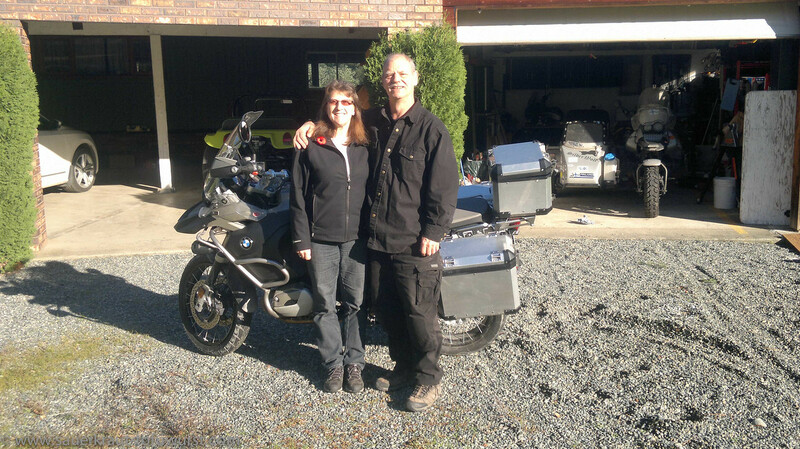 It was a lovely yet chilly ride back to my girls. 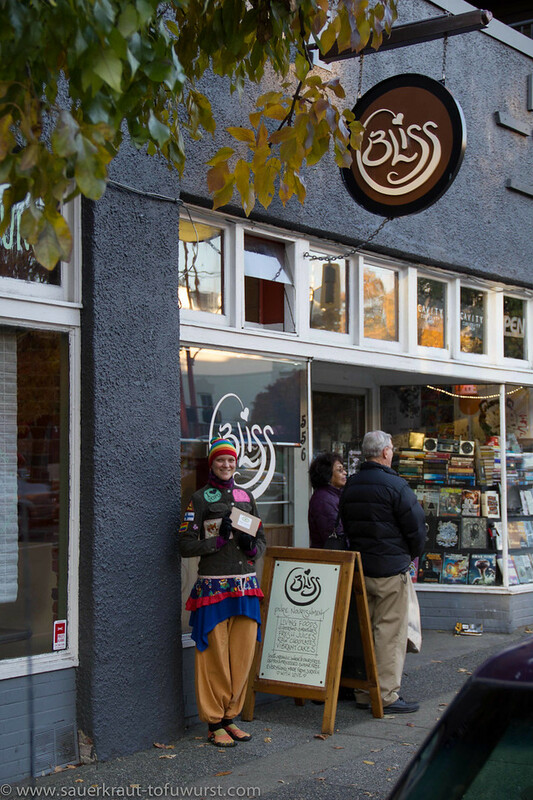 We met some other people in the city (special “hi” to Quinn and Lavender), found a vegan chocolate shop (the goodies from the Portland one tasted better though) and tested some of the vegan restaurants in downtown. The days were typically dry and sunny with temperatures around +10C whereas the nights brought already frost. 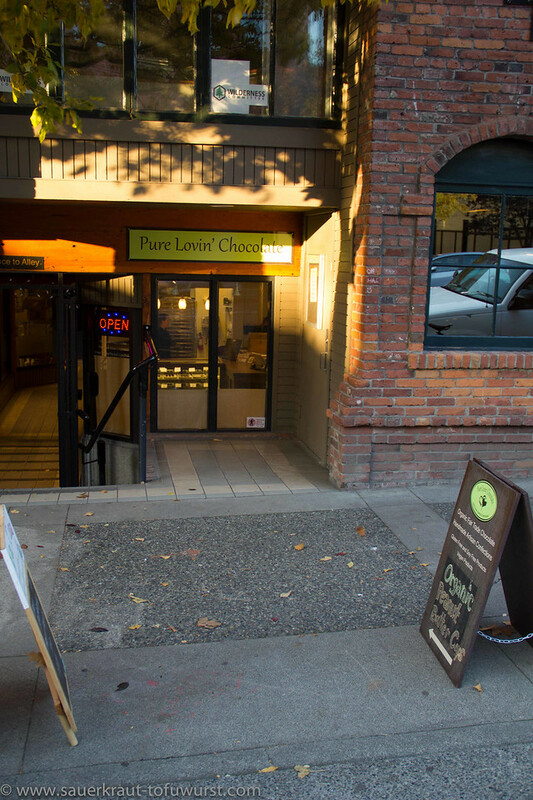 Pure Loving Chocolate - all vegan!!! 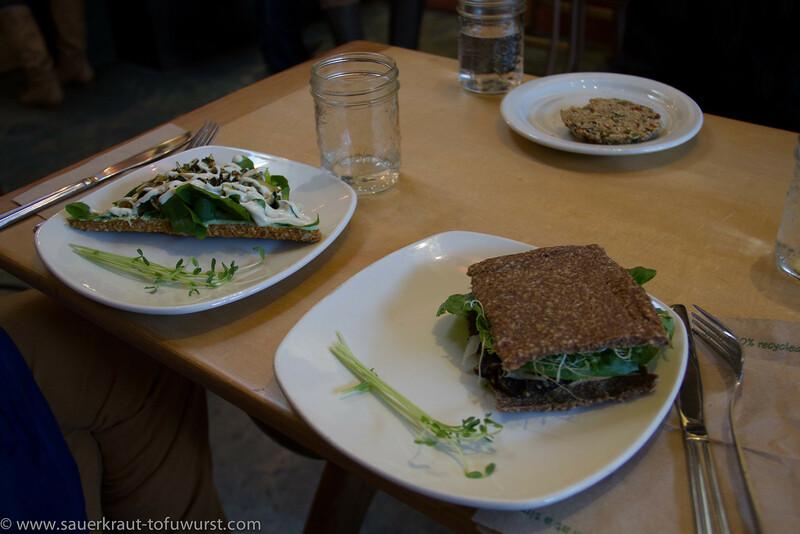 Really delicious raw vegan pizza slize and mushroom burger! 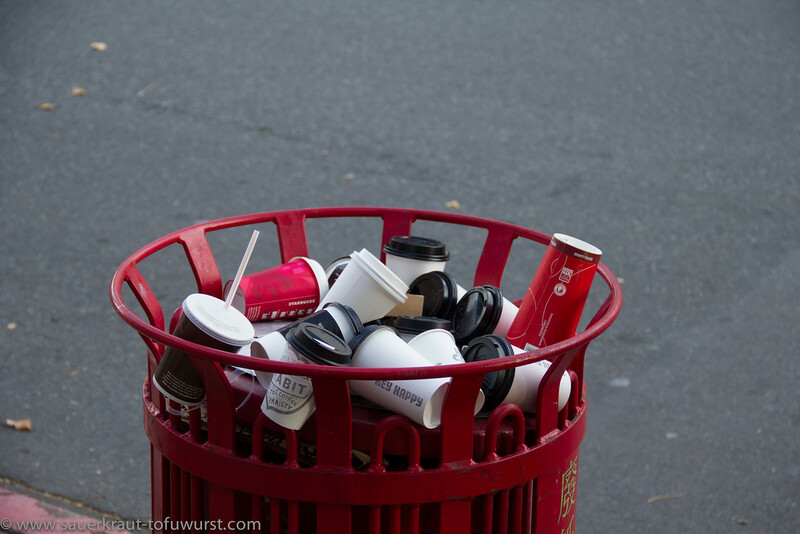 Single-use coffee mugs create plenty of trash. Get a re-usable travel mug and be at least a bit more environmental friendlier! 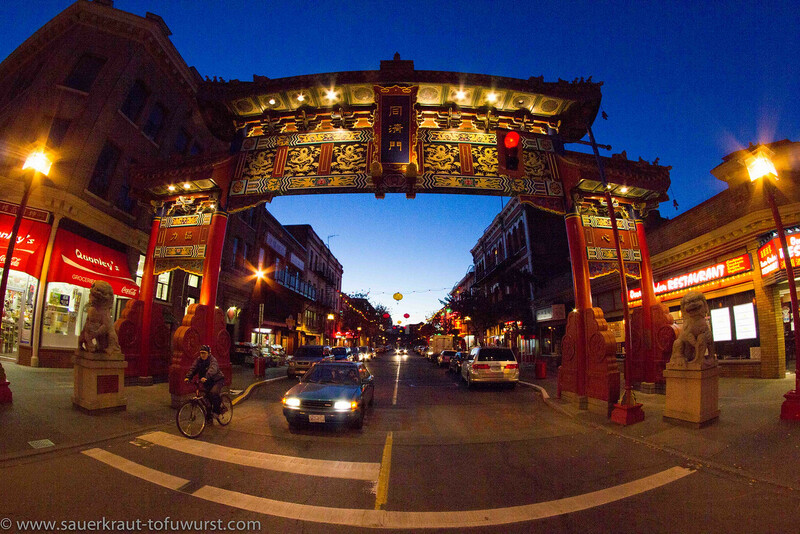 Chinatown in Victoria, BC is the oldest Chinatown in Canada and second oldest in North America. 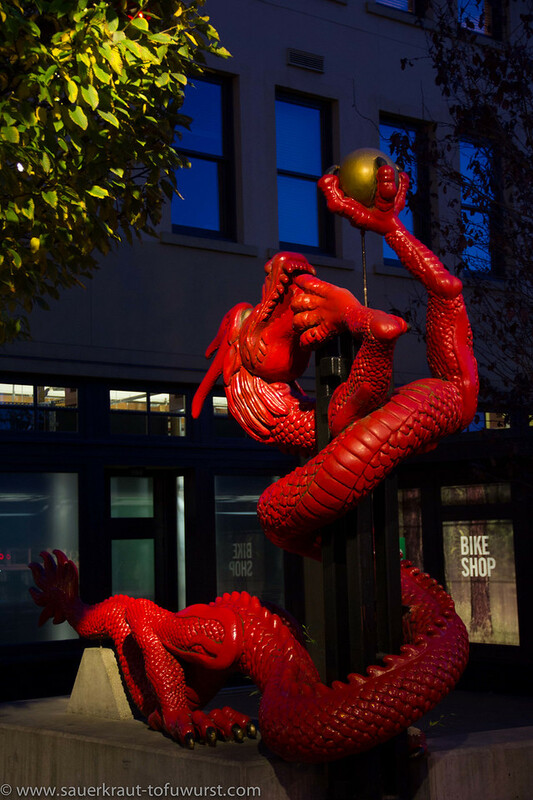 Chinatown ... must have a dragon somewhere. 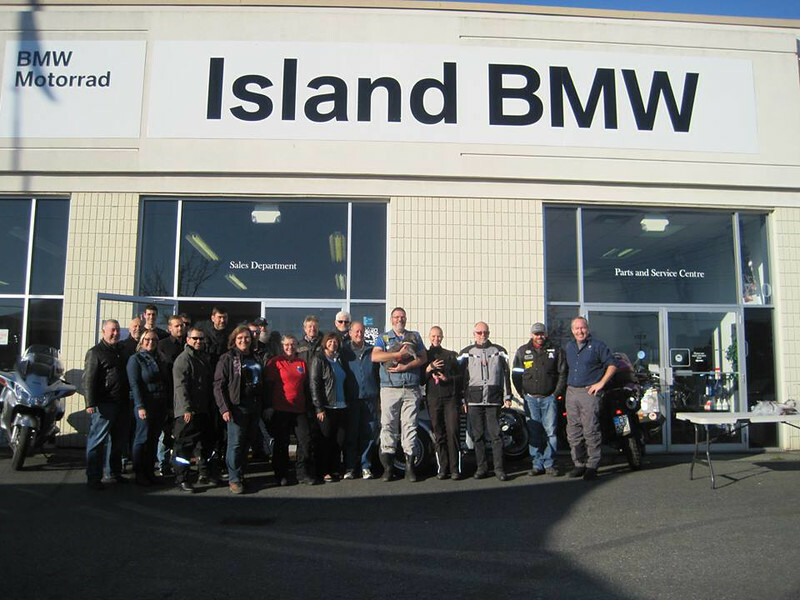 We had our big day on the November 15th when we had a “meet and greet” event at Island BMW motorcycle dealer in Victoria. Bill was absolutely fantastic in organizing everything from the BBQ to the local TV news channel. 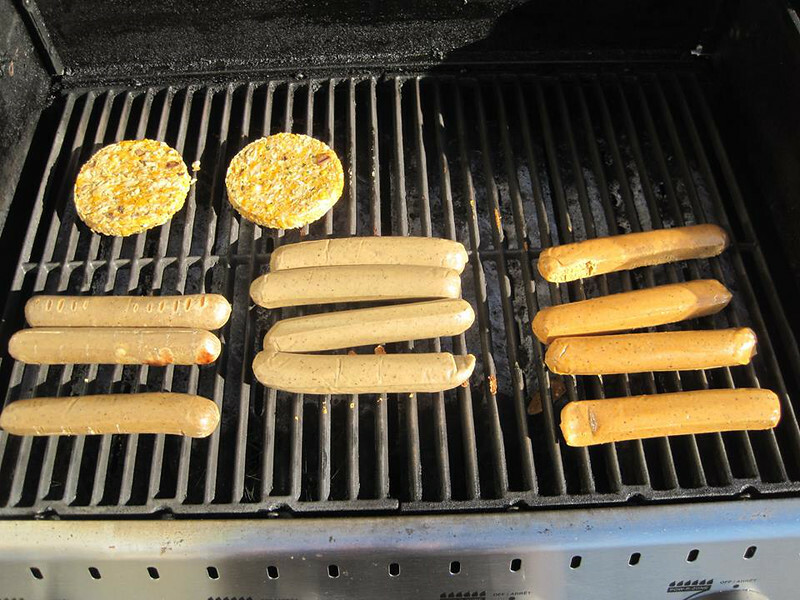 Yep – BBQ! 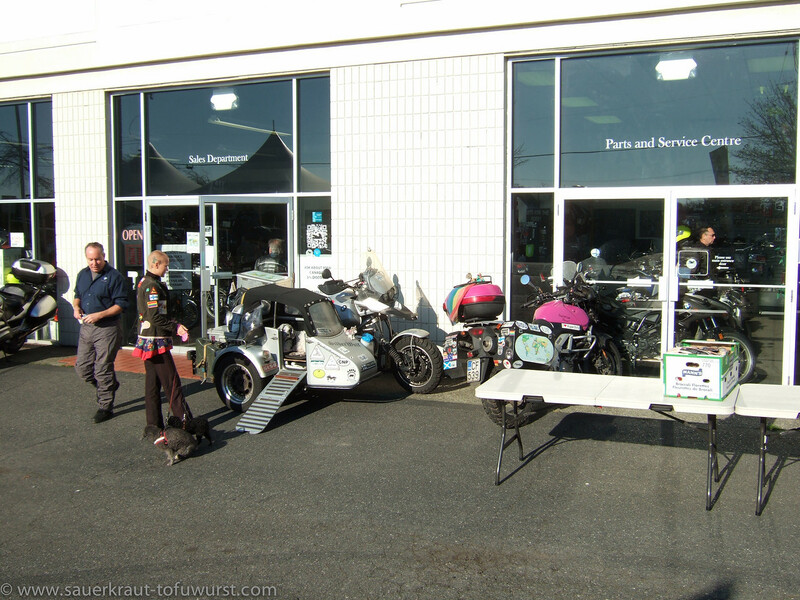 When I went the first time to Island BMW to meet Bill and in order to prepare the event, he noted instantly that oops you are vegan, so killing some animals to promote your journey will not do. 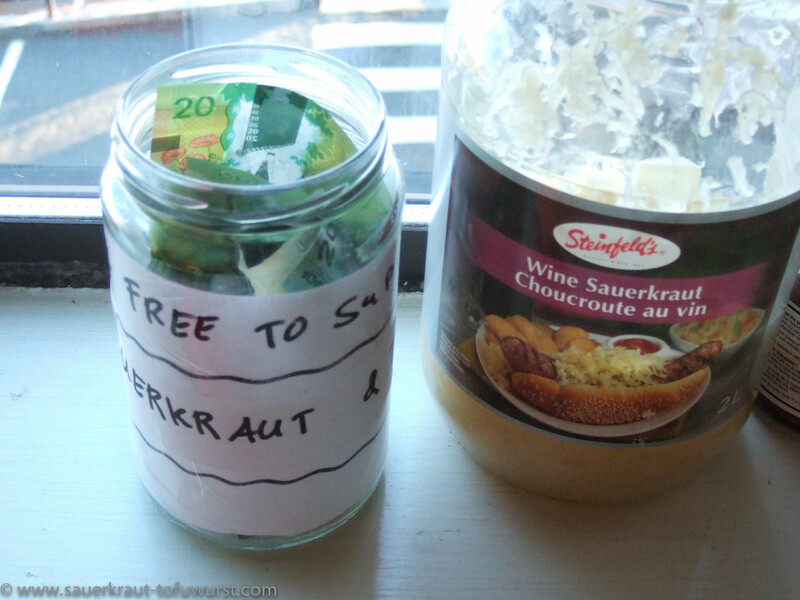 He organized some vegan sausages, sauerkraut and vegetarian burgers! Well done and thank you very much for organizing this event! The weather was inviting, sunny and even warm in the sun (I guess many bikers regret that they canceled their insurance already). 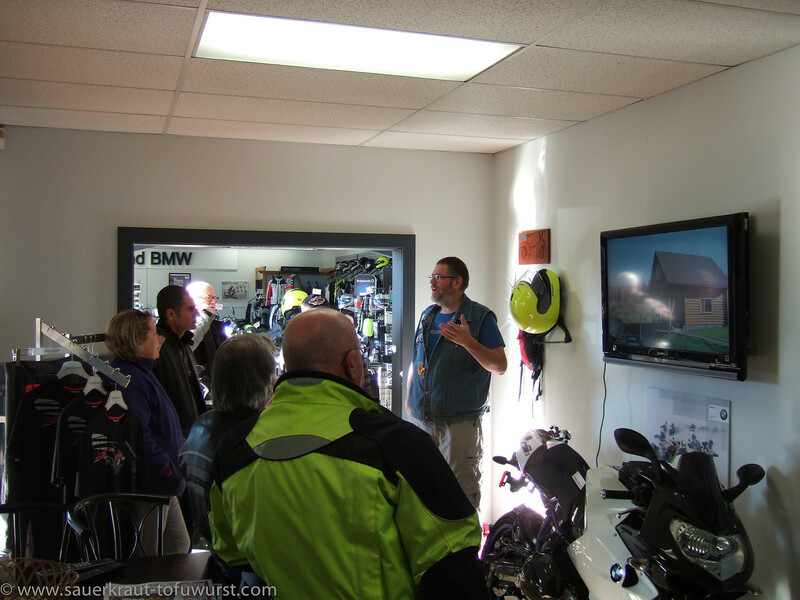 We had a great time, met about 30 other bikers, some who came just to see us and others by chance. 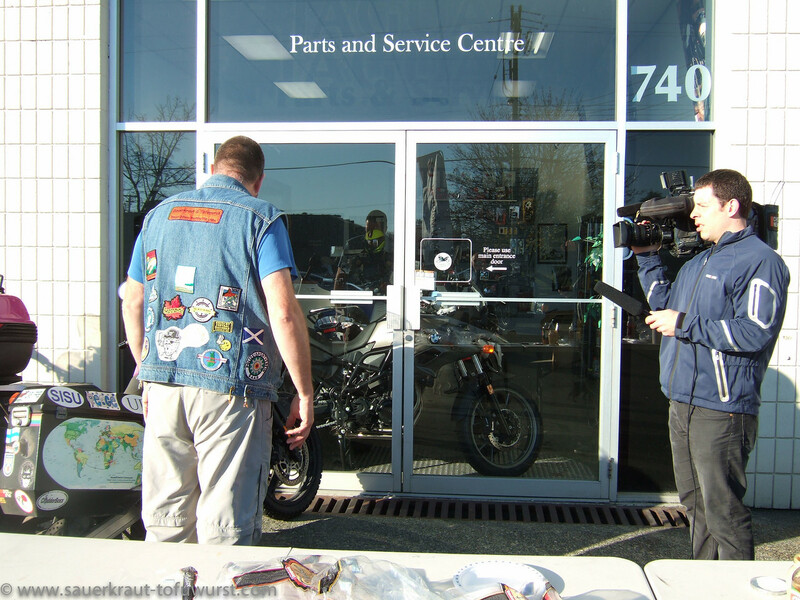 We got interviewed by Chek News and made it to the evening news on the local TV. I made an updated video which ran in the background and our donation jars got some content. Thank you all very very much for your generous contributions – we appreciate it and will take it to a good cause. 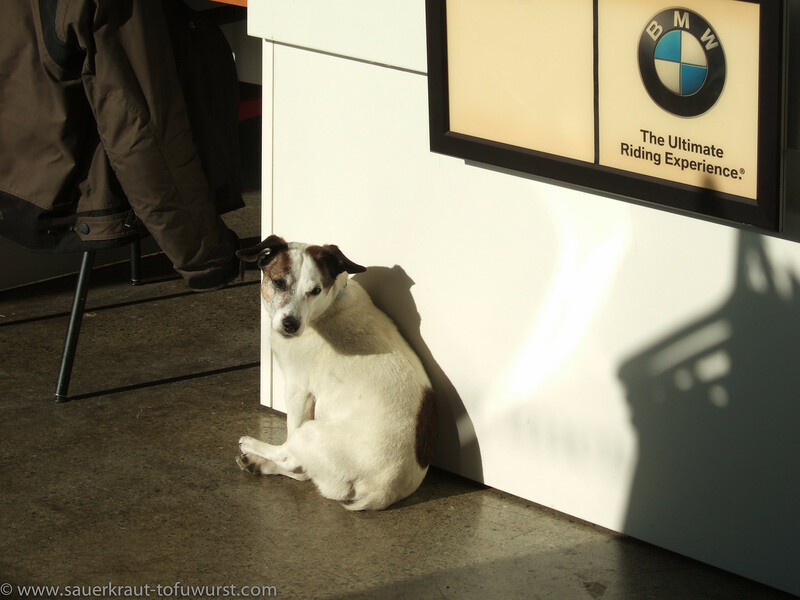 The official Island BMW "guardian". 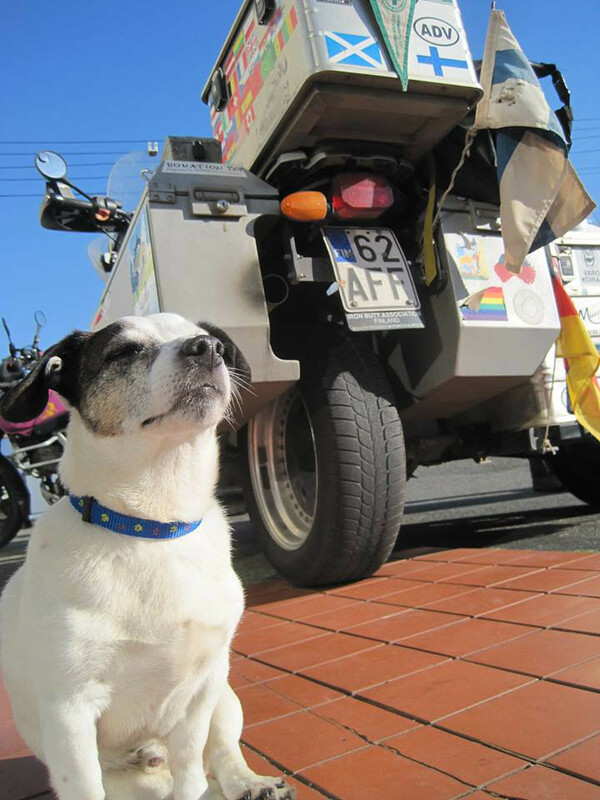 Hertta stayed in her favorite spot - the sidecar.